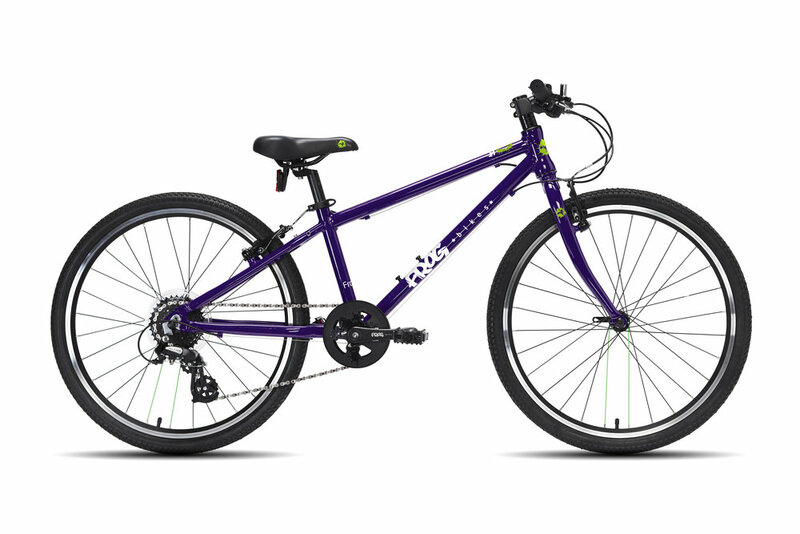 Frog Bikes are high quality children's bikes designed and built in Great Britain. Frog Bikes set about re-designing kids' bikes, creating a light but strong aluminum frame, and hand-picking high-quality components to make it easy for children to pick up a bike and ride. Their frames are designed for a child's geometry (which is different than a small adult!) and are easier to pedal due to a unique crank design. 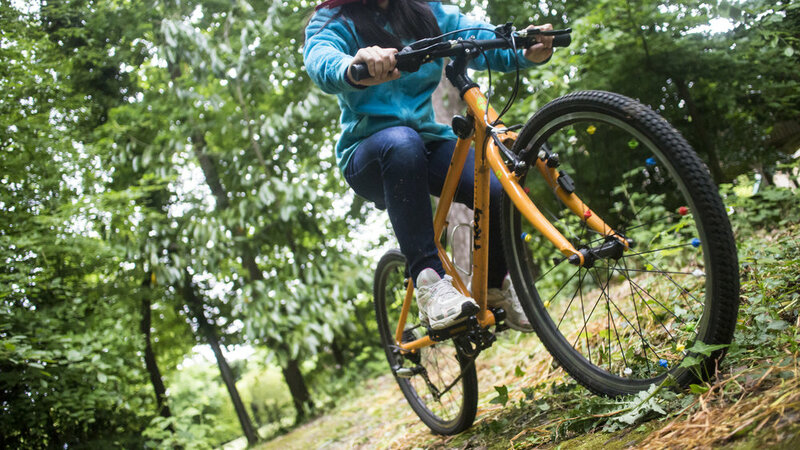 The new crank reduces space between the pedals, allowing children to push more directly down when cycling, converting more of their energy into motion. Only Frog applies this level of rigor to the design of kids' bikes, and we're proud to feature them in our store. Additionally, we offer a trade-up program where we'll buy back your child's gently used Frog Bike, and credit 25% of your original purchase price toward a larger bike. Frog's lineup of First Pedal Bikes also work as a balance bike! These bikes are simple, and help your child build confidence on a bike. The pedals are easily removable, so the bike can convert to a balance bike (like a Strider) if your child isn't quite ready for a full pedal bike. They can also be equipped with training wheels, although we recommend trying the Frog as a balance bike first. 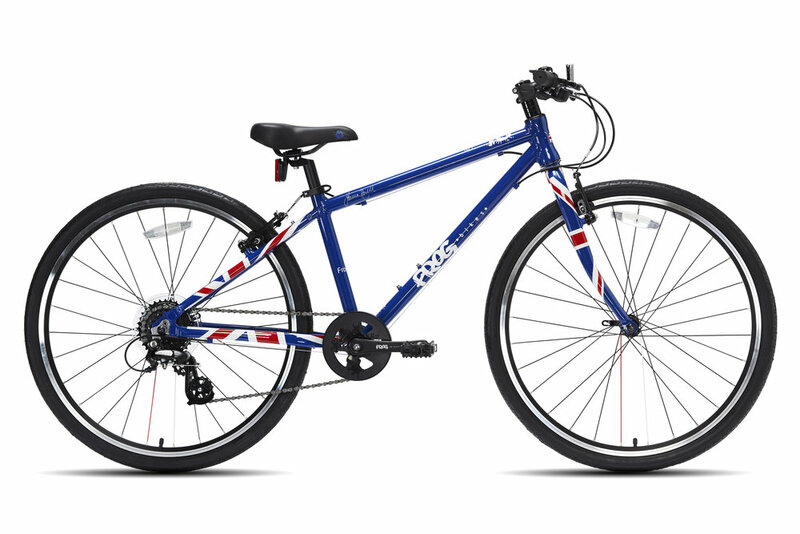 Available colours: Frog Bikes are produced in Red, Orange, Spotty, Pink, Union Jack, Green, and Team Sky. Available colours: Available in Red, Orange, Spotty, Pink, Union Jack, Green, and Team Sky.